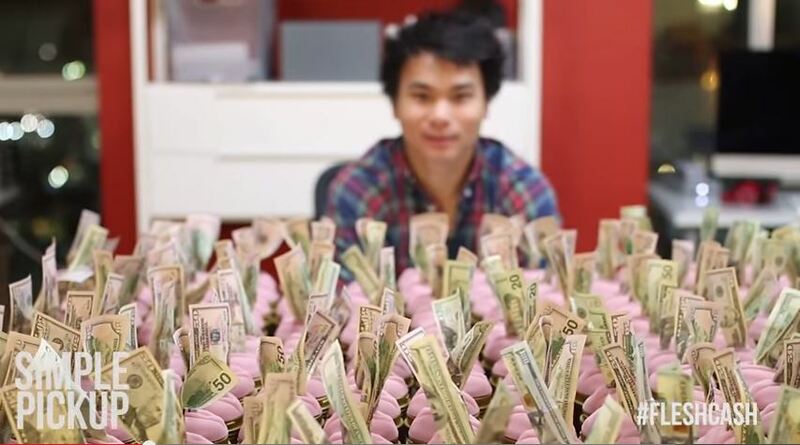 SimplePickup.com, a website about dating and how to approach and talk to new people, is hiding $10,000 in cash inside Fleshlights [NSFW] on October 25 in Los Angeles, CA. A note on the site’s YouTube page says, “We were given $10,000 to create a promotional video for Fleshlight. We decided to give that money to you for supporting us. So we’re going to hide it and give out clues on our Facebook and Twitter each day this week.” The promotion is an effort to reach 50K likes for the video on YouTube. The video was posted on October 20, and as of today, October 22, the video had over 237,000 likes. The promoters go on to promise that they’ll run the promotion again in another city if they get 50K likes. Follow SimplePickup on Twitter for clues. But what if you aren’t in Los Angeles? You could still win a free Fleshlight. Like simplepickup.com on Social Media for a chance to win. Just go to their entry page.